The Targus 10.2? 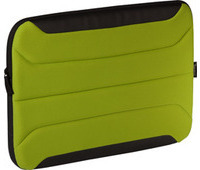 Zamba Netbook Sleeve provides a fun and expressive way to protect your netbook from scratches and bumps. Designed to fit netbooks with up to 10.2? 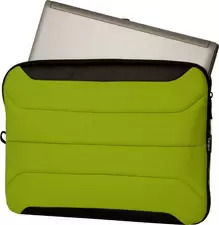 screens, the vibrant color options and water-resistant neoprene exterior add both personality and durability to this netbook sleeve. 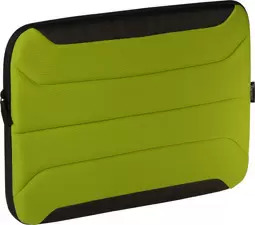 Whether carrying it by itself, or inside of another case, this heavily quilted sleeve provides that extra layer of protection while transporting a netbook to and from school or work. 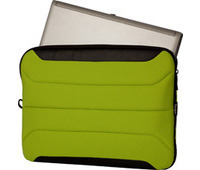 The interior features a scratch-resistant lining, which provides a soft cushioned surface for your netbook. or work. The interior features a scratch-resistant lining, which provides a soft cushioned surface for your netbook. Disclaimer : Targus 10.2? Zamba Sleeve-Green price in Pakistan is updated on daily basis and rate/price for Targus 10.2? Zamba Sleeve-Green is valid for all cities of Pakistan included Islamabad, Rawalpindi, Lahore, Karachi, Faisalabad, Peshawar, Sialkot, Quetta etc. Targus 10.2? Zamba Sleeve-Green price depends on many factors thats include the price of dollors, manufacturar price and import cost and duties etc. Our team entered specs from diffrent resources and not responsible for any typo error in specs for Targus 10.2? Zamba Sleeve-Green, please report any such error in bug report panel for Targus 10.2? Zamba Sleeve-Green. Targus 10.2? Zamba Sleeve-Green price in Pakistan.